Mathew Davey: “Students feel abandoned. I think a lot of students, particularly those in St. Pats and All Hallows feel hard done by because of the amalgamation… I need to be on each campus at least one day of the week. Mathew Davey is a 22-year-old studying education in St. Pat’s. He was a class rep in his first year of university and in his final year, he is the uncontested candidate for Vice President for Education and Placement. “I’m running because it’s (education) something I’m passionate about, especially placement. Even the word placement for any student whether it’s nurses, business or teachers, is daunting and that’s something I want to remove. Placement should be an exciting experience and I want to make it as best as possible for everyone,” he said. Davey’s manifesto outlines four main points; nurse appreciation days, revamping the intra portal page, re-introducing printing credit and to better the facilities in the libraries. However, the idea of improving placement was something that Davey kept returning to when speaking to The College View. Placement requires long hours and plenty of commitment, which is something Davey thinks goes unrecognised a lot of the time. He wants to find a way to help students to ‘work smarter, not harder’ because through his own experience on placement, he found that it can definitely result in being burnt out. “For my school in Portmarnock for example, I’ve to get up at six, get a bus at seven o’clock and then it’s two or three buses depending on which way I go so that I can get there before school starts. “Then on the way back it takes another hour and a half so you’re not home until four. Then there is preparation for class the following day which can take until midnight sometimes so placement really is a lot of work and I want to help students dealing with that,” he said. He believes that broadening the scope of the surveys that current VP for Education and Placement Manus McLoughlin established would develop a way to do this. He believes the results of these continued surveys would enable people going on placement to learn what works and what does not. Following the amalgamation in September 2016, Davey told The College View that he is prepared to make his presence known across all DCU campuses so that all students feel like they’re a part of DCU. “Students feel abandoned. I think a lot of students, particularly those in St. Pats and All Hallows feel hard done by because of the amalgamation… I need to be on each campus at least one day of the week. Even if it’s just attending some events because people are more likely to chat after a few drinks. I need to be everywhere,” he said. 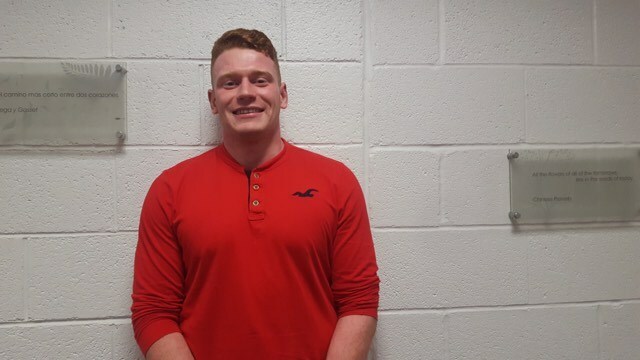 Davey also wants to maximise the budget that is allocated to the students’ union to resolve things such as a lack of water fountains in buildings, having functioning plugs in the libraries and fixing the Intra portal page.